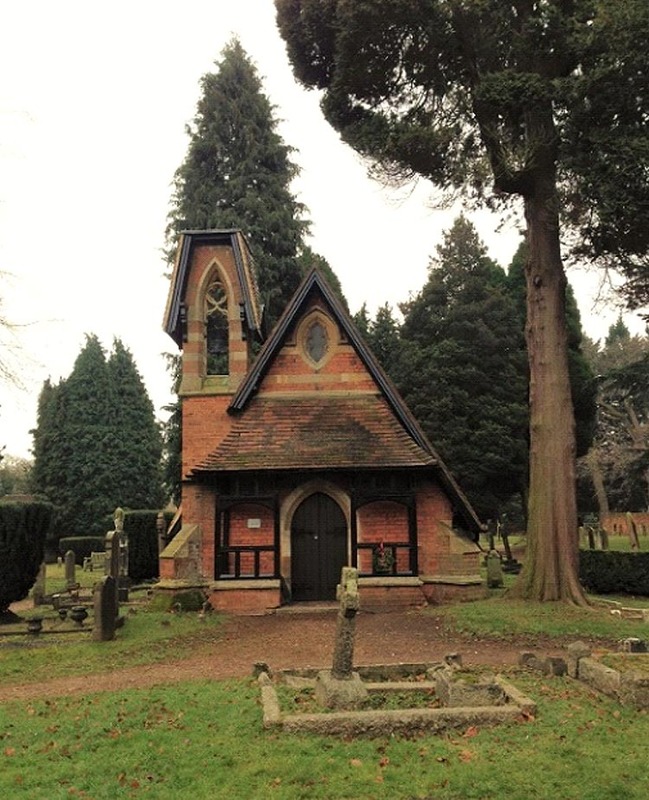 This unusual chapel building has huge historical significance for the residents of Bagshot and is an important part of Bagshot Cemetery. The original chapel was built as a Chapel of Ease by the Duchess of Connaught. In 1819 The Duke of Gloucester laid the foundation stone and the Chapel and was consecrated on 3rd August 1821. It became the only place of worship in Bagshot village since the chapel that was located in Bagshot Square, now the car park of a public house, burnt down in the 16th century. There are no other records of any place of worship until the building of the Chapel of Ease. It is also thought the high wall enclosing three sides of the cemetery may have been constructed at the same time as the chapel, that was centrally placed. The Chapel was not dedicated to any particular titular saint and had no license for the solemnization of marriages. 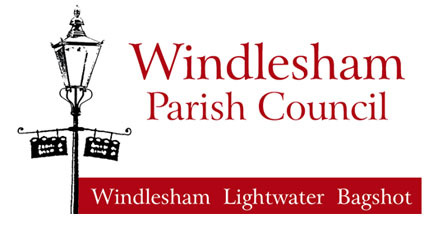 Residents seeking marriage were obliged to go “up parish to Windlesham” for the ceremony. 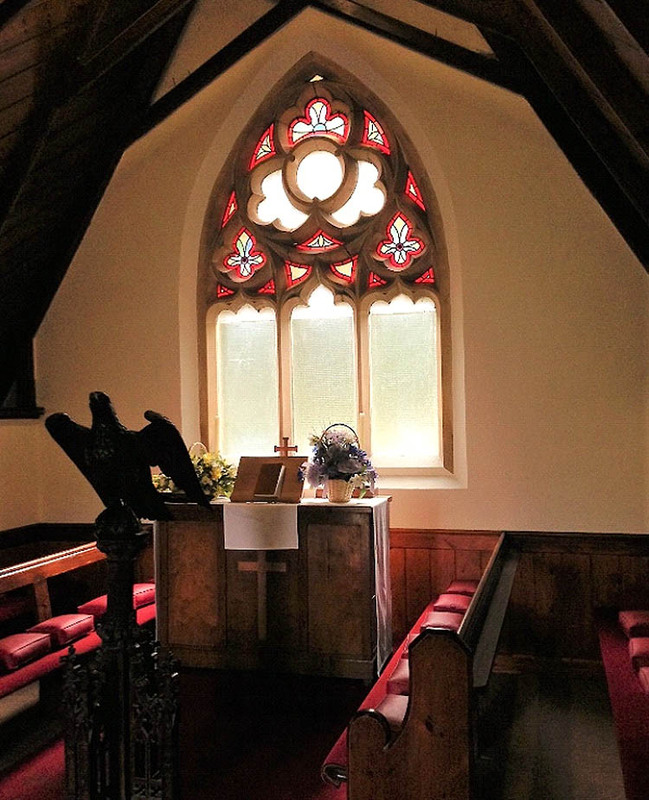 On each side of the alter of the original chapel, at the south-west end, stood two large high-boarded, boxed in pews furnished with chairs, one being the “Park pew”, the other the “Lambourn pew”. Other high boxed pews, each having a door, were arranged along the walls on each side of the Chapel. The choir sat on long benches facing each other. 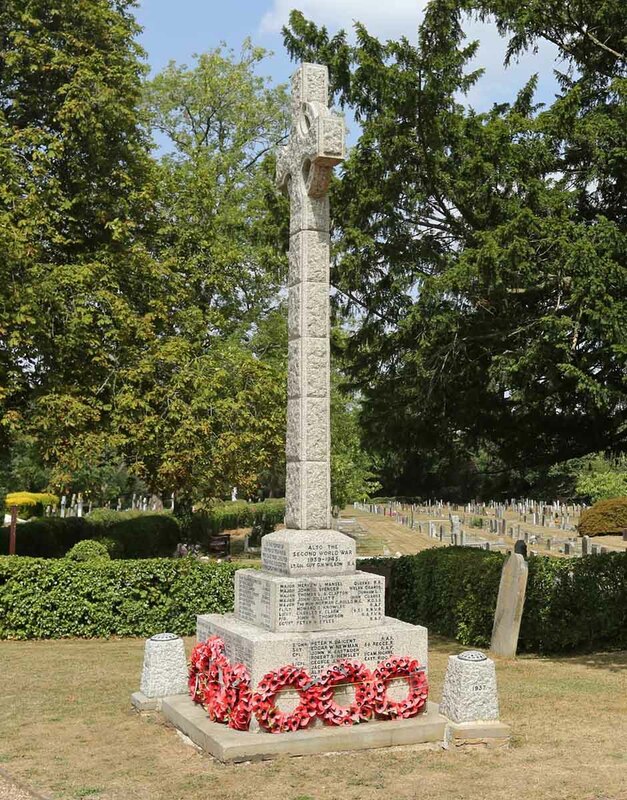 In 1874 Bagshot became separated from the ecclesiastical parish of Windlesham and when the larger Parish Church of St Anne was constructed in Bagshot in 1884, the Chapel in the cemetery ceased to be used as a place of worship. It was demolished in the early 1900’s, to be replaced with the smaller brick built Chapel we see today. It is an example of late Victorian architecture that is fairly unique in its construction and design. There are no similar buildings that we know of in the surrounding area. The Chapel was used solely for committal services in connection with interments in the surrounding cemetery. Again, there is no record of the Chapel being dedicated to any particular saint and therefore, as in all such cases, it is deemed to be dedicated to St Mary. 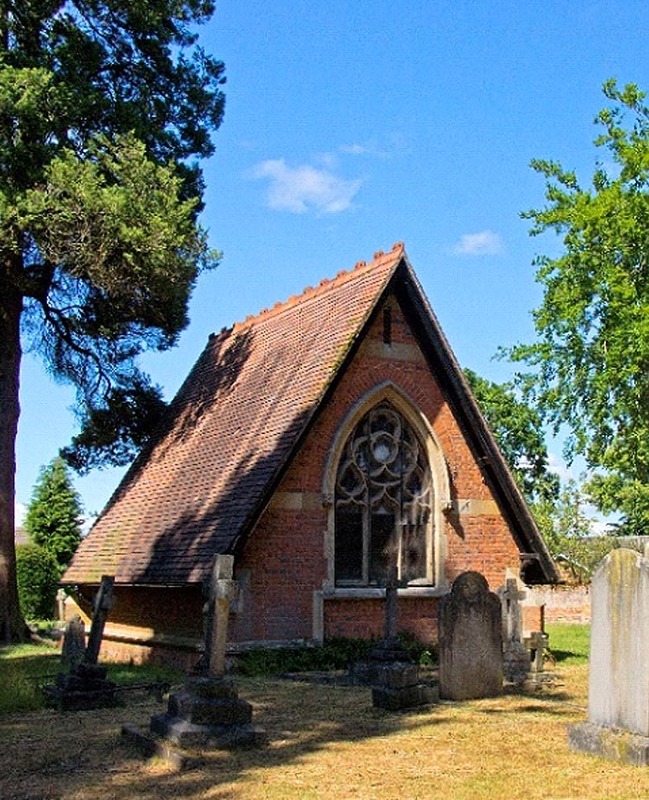 When the burial ground closed for interments in 1966, no further religious services were conducted and the Chapel was disused, except for a brief period when a local undertaker was permitted to make use of the building as a Chapel of Rest. Having no functional role, the Chapel interior deteriorated and fell into a bad state of disrepair. In 1982, Windlesham Parish Council undertook extensive refurbishment work and the Chapel was rededicated in July 1982. In 1998, the little-used chapel was opened for a family interment of ashes to take place and work was also completed later that year to replace loose roof tiles and secure the flat roof on top of the unusual bell tower. Further restoration work was undertaken in 2009 when redecoration of the outside of the chapel building took place and in 2015, when extensive work was done to the interior of the chapel. This work included replacement of most of the wooden interior and treatment for damp and dry rot. 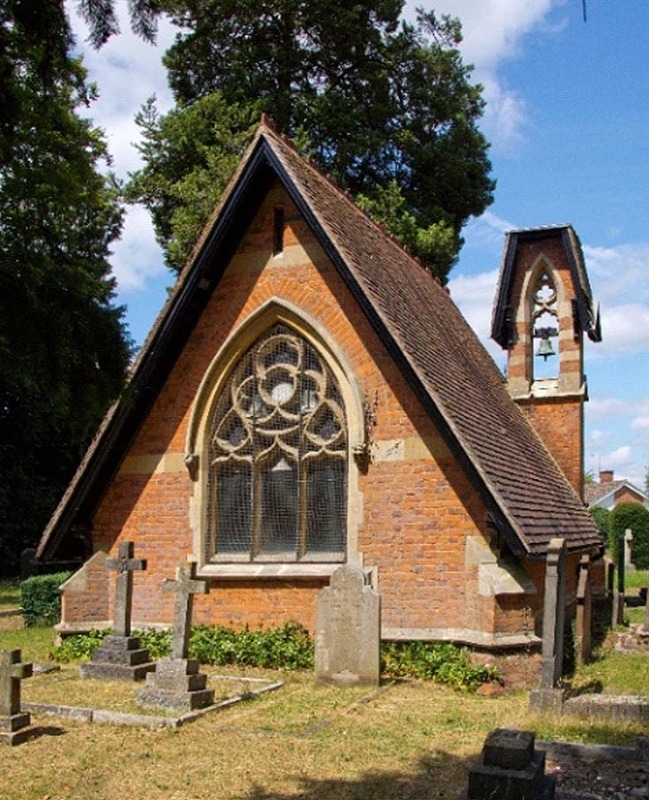 The Chapel is was opened to the public annually as part of Heritage Open Days weekend and in addition to this, the Council grant access to the Chapel for Bagshot Community Events to hold an annual informal carol service each December. 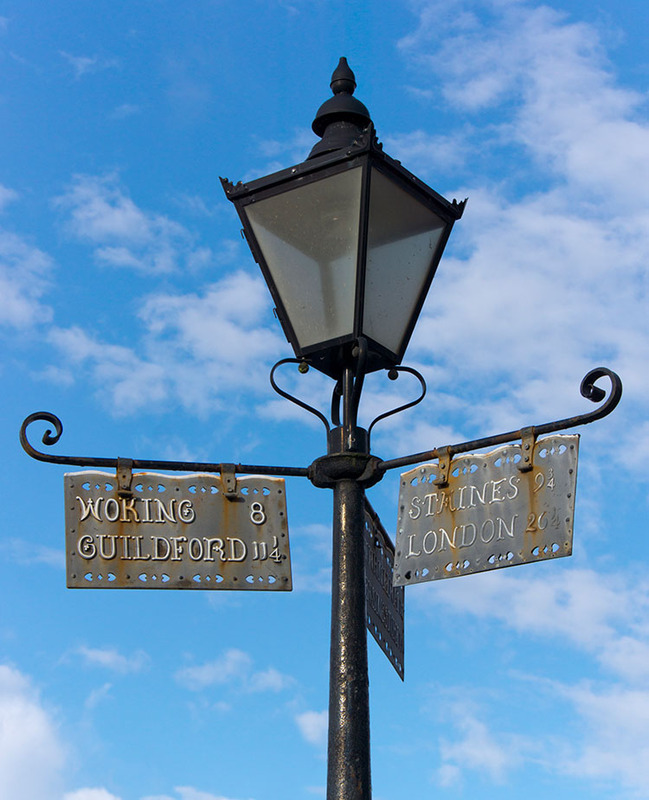 The Queen Victoria Signpost and Lamp is a focal point of Bagshot Square and an important historical feature in Bagshot. 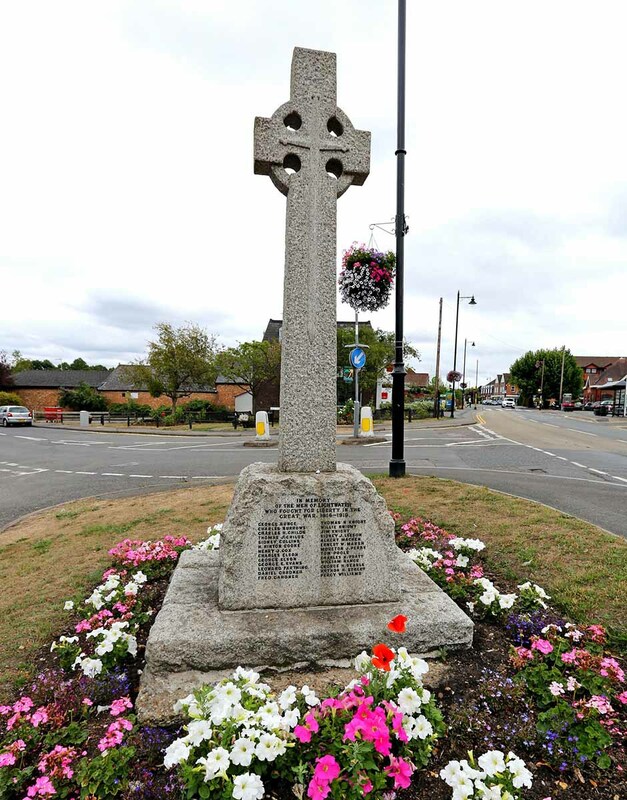 The sign post was erected to commemorate Queen Victoria’s Diamond Jubilee of 1897 and now incorporates a plaque to commemorate the bicentenary of the victory at the Battle of Trafalgar and the death of Lord Admiral Nelson, the Trafalgar dispatch having stopped at Bagshot en-route from Falmouth to London. 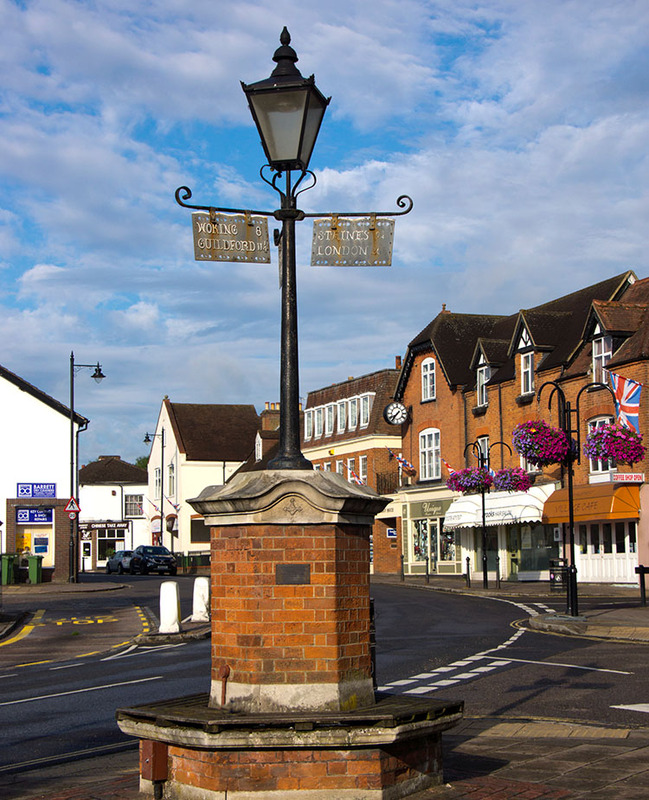 Almost 100 years after the lamp was installed, a project funded by Windlesham Parish Council, brought electricity to the Jubilee Lamp and in December 1994 the lamp was lit for the first time since electricity replaced the flickering gas lights which once illuminated the village High Street. 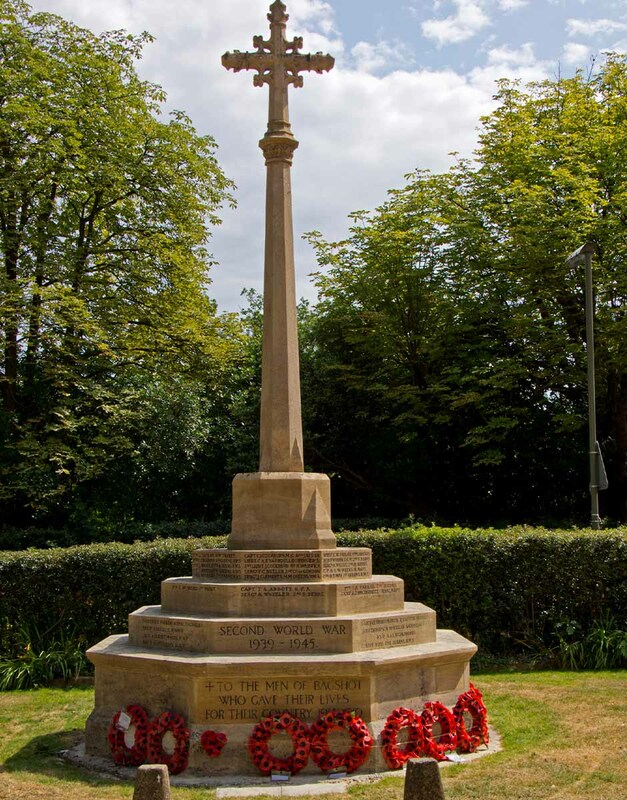 Windlesham Parish Council owns and maintains the war memorials in Bagshot, Lightwater and Windlesham all of which have been awarded Grade II listed building status by Historic England.